PA Senate Pro Tem Joseph Scarnati (R-Jefferson) today unveiled his much-anticipated Marcellus impact fee proposal. In their first reactions, representatives from the drilling industry and environmental advocates offered tentative support. “Our industry understands that, while there are tremendous financial opportunities in Marcellus Shale development, there also can be impacts felt by our host communities. Policy decisions made at the state and local levels of government most certainly have an effect on job creation and the investment of capital needed to develop and maximize the benefits of clean-burning natural gas from the Marcellus. Pennsylvania has the opportunity to create a sustained and highly-competitive environment for growth of this productive industry, with all of the associated benefits for its residents. In order to meet this goal together, any local impact fee on Marcellus production must be clear, straightforward, and competitive. PennFuture, one of the most vocal environmental advocacy groups in Pennsylvania, was positive albeit more tentative. Jarrett reiterated a view common among environmental groups: that a severance tax to the state’s general fund would help fund statewide conservation programs not necessarily related to Marcellus – a virtual non-starter in Harrisburg’s political climate. 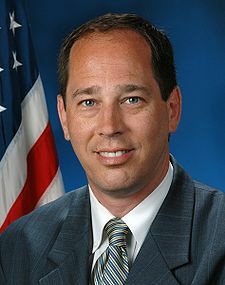 Scarnati’s plan would assess a $10,000 base fee per well and generate additional revenue based on gas prices. Scarnati said he will introduce his plan as a bill next week, and hopes to pass it into law by June. Perhaps more than drillers or environmentalists, the biggest test of the proposal is Governor Corbett. During a conference call with reporters, Scarnati emphasized that he designed his proposal to meet all of the criteria established by the Governor, who has said that he will veto a Marcellus tax but has left the door open to impact fees. The Corbett administration has yet to respond public to the proposal, but Scarnati said he discussed the plan with the Governor at length on Monday. Our friends at the Morning Call and the Post-Gazette have further details.